Reed or inductive proximity switch options suitable for liquids or gasses. Flameproof (EExd IIC T6 Model options). Standard 1″ NPT/BSP pipe boss mounting. Flow rate velocities from 6.7 m/min (22 ft/min). Model options for pressures up to 150 bar g.
Hermetically sealed switch protected to IP68. Stainless steel or various plastic contact materials. 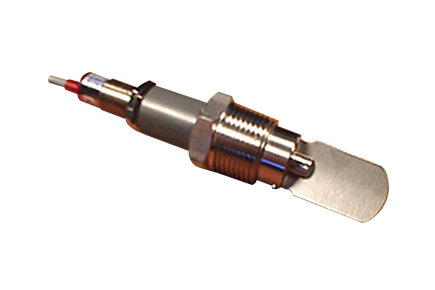 Operates up to 170 ºC (depending on switch option). For pipelines 1″ to 10″ diameter.